Held during National Tourism Week, the Summit celebrates our vibrant Outer Banks tourism industry by bringing together tourism professionals and partners to learn about the latest marketing trends, network with local tourism colleagues and catch up on the current topics facing the Outer Banks vacation market. The event will be held at The Lost Colony's SoundStage Theatre, located at Fort Raleigh National Historic Site on Roanoke Island, from 8:00am-3:00pm. 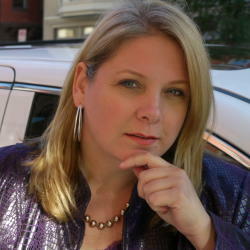 Janine Driver is the New York Times Best Selling author of YOU SAY MORE THAN YOU THINK and YOU CAN&apos;T LIE TO ME, popular keynote speaker, media expert for NBC&apos;s TODAY Show, 20/20, CNN, Anderson Cooper, Katie, Dr. Drew on HLN and she&apos;s the founder and lead instructor for the Body Language Institute (BLI). BLI is an elite certification program that offers advanced communications training which help executives, sales and other professionals build executive presence and explore their selling skills. Janine&apos;s background includes being a federal law enforcement officer within the United States Department of Justice for fifteen years, where she trained over 60K lawyers, judges, law enforcement officers and the Netherlands Police how to read body language and detect deception. Now each week, Janine travels the country providing communications training to her clients, such as AOL, Coca-Cola, Procter & Gamble, Pricewaterhouse Coopers and NIKE - just to name a few! Imagine the impact you will have on others when you are inspired to look at the world differently. NCTIA executive director Vince Chelena and NCTIA lobbyist Brian Lewis will take Dare County leaders through a process that explores the shifts in the General Assembly and deliver an informative, visual and interactive look at the power plays underway. You will walk away with a clear understanding of the issues facing tourism and be given simple, achievable tasks as we seek to build relationships with the next generation of legislative champions. 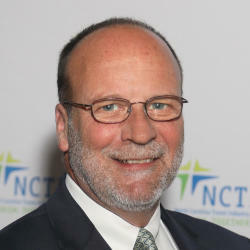 Vince Chelena has served as the executive director of the North Carolina Travel Industry Association (NCTIA) for 18 years. He also served as the Executive Director of the North Carolina Destination Marketing Association for 21 years. The NC General Assembly is constantly turning over. If redistricting, aspirations for higher office, and contested elections don&apos;t knock out a legislator of the General Assembly, it&apos;s a given that retirement eventually will. Nearly one-third of our 2019 legislators are freshmen. NCTIA is proud to have built and nurtured powerful political friendships in high places, including former Senator Marc Basnight, former Senator Tom Apodaca, and former Representative Bill Owens. These relationships helped create a tourism friendly school calendar while fortifying occupancy tax guidelines that enrich tourism development. Today NCTIA is proud to continue its tourism legislative work with Senator Phil Berger, Senator Bill Rabon, Representative Chuck McGrady, and many other powerful legislators who continue to help NCTIA preserve what was created by past legislative bodies. However, NCTIA has been warned by many legislative friends that retirements among tourism friendly legislators are imminent, some coming as early as 2020. 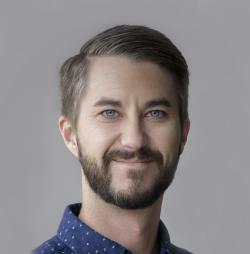 Kellen Kruse leads AirDNA’s tourism business, advising DMOs and Tourism Boards across the globe on how to effectively use data to understand the disruption, trends and tax revenue opportunities presented by the growth of Airbnb and the short-term rental sector. His team has partnered with more than 100 destinations worldwide from Discover LA to Visit Berlin by helping them explore Airbnb’s current impact and build strategic plans for the future. As Director of Business Development, Kellen leads AirDNA’s tourism business partnering with DMOs and Tourism Boards across the globe to effectively use data to understand the disruption, trends and tax revenue opportunities presented by the growth of the vacation rental market. His team works with 150+ destinations worldwide to explore the impact of home-sharing platforms on their communities and build strategic plans for the future. Kellen holds an MBA from UCLA Anderson School of Management and a finance degree from the University of Kansas. He lives in Santa Monica with his wife Chelsea and his dog Conan. In his spare time you can find him playing beach volleyball, snowboarding, and endurance training for marathons. 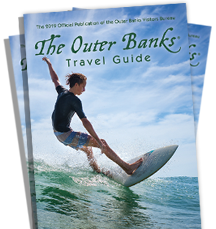 This session will provide an objective and historic overview of the rise of Airbnb in the Outer Banks market and within its different areas. You&apos;ll come away with a deeper understanding of the implications for our Dare County lodging providers and the community as a whole.